The league will run on eight weekends starting on the weekend after labor day and ending in early November. As a non-competitive league we do not keep standings. Kindergarten to 3rd grade - Each player will receive a participation trophy and a team picture at the end of the season. 4th Grade and Up we will keep standings and awards will be given to 1st and 2nd place teams - All players will get a team picture. Games will be played on Saturdays and Sundays at Felix Festa Middle School. We cannot guarantee which day or what time your child will play. Children entering grades K through 12 in the fall are eligible to play. Boys and girls will play in separate leagues. 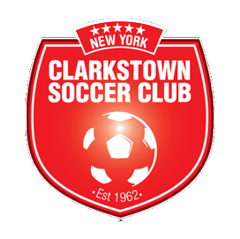 Our league is not affiliated with the Town of Clarkstown, thus there are no residency requirements to participate. Travel team players are not permitted to participate in the Fall Intramural League. All players are required to have a league uniform, but we will be using the same uniforms as previous years for Grades Kindergarten to 3rd Grade. Below is a tentive days of play. Please note this is subject to change if field space changes. Registration closes on May 15th, but registrations will be accepted up to and including June 1st. An additional $30 late fee will be added to the registration charges per family for registrations received after May 15th and your child will be placed on a waiting list. No registrations will be accepted after June 17th. Refunds of registration and uniform fees if requested will be accommodated on or before August 1; however there will be a $20 administrative fee deducted from the refund. There are no refunds after August 1. To register for the Clarkstown Fall Intramural League please click the link below and follow the instructions. If you registered last year for either the Spring Clinic or Fall Intramural League, please use the same email and password from last year to log on to the system. If you forgot your password please click on that link on the registration site. Please make sure you select the 2019 Fall Intramural Soccer League as the session. New Skills Classes for all age groups. Three Free Clinic’s throughout the season - Ran by our Director of Coaching Kevin Grogan and other professional players.